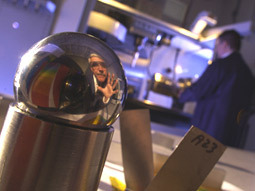 Laboratory Services defines our ability to serve a broad market with x-ray diffraction measurement techniques that go beyond historical applications. Surface Enhancement Technologies develops and delivers highly controlled surface treatments to impart engineered residual compression to customer components. Lambda Technologies Group provides complete surface enhancement solutions. Specializing in the understanding, measurement and control of local residual stresses, Lambda is an established leader in materials testing and life extension technology. Through development of innovative tools, measurement methods and knowledge that supports reliable design and implementation of beneficial compressive stresses, Lambda’s integrated total solutions approach improves component life and performance. 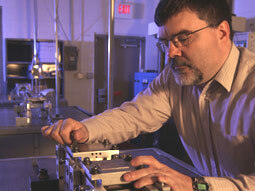 Lambda Technologies encompasses a premier materials research laboratory with an engineering and production enterprise. We are dedicated to the development and optimization of surface treatments. Our company has been studying materials for over four decades, with over 150 years of combined experience and more than 20,000 research programs. We are proud of our corporate legacy and record of outstanding performance in meeting our customers’ needs. Through technical excellence, groundbreaking innovation and committed, hard-working employees, we’re able to provide more than just data. We provide solutions. Surface Enhancement Technologies (SET) is charged with the successful deployment of Lambda Technologies’ surface treatment solutions, dedicated to the understanding and management of residual stress in metals. We engineer residual stress fields to mitigate high cycle fatigue (HCF), stress corrosion cracking (SCC), low cycle fatigue (LCF), fretting fatigue, corrosion fatigue, foreign object damage (FOD), corrosion pitting, and other damage mechanisms. Surface Enhancement Technologies is structured to deliver seamlessly integrated systems that mesh with the customer’s manufacturing and production operations. In addition, SET also processes components in-house using their patented, highly controlled surface treatments, such as Low Plasticity Burnishing (LPB®). Lambda Research is a world-class laboratory facility and preeminent source of residual stress measurement and analysis worldwide. Lambda delivers quality driven, reliable results in a timely manner to a wide range of industrial, government, and academic clients. Unique x-ray diffraction, finite element, and mechanical methods have been developed for the study of residual stress formation. Lambda also provides surface integrity studies to document the resulting fatigue and stress corrosion behavior on a wide variety of alloys. With over 150 years of combined experience and more than half a million completed measurements, Lambda is a name people trust. Certified residual stress engineers and technicians provide exact results and in-depth analysis, so we offer more than just data. We provide complete solutions.